The name 'Camps Bay' could easily be substituted for 'Land of the Beautiful People', given the number of hot beach bods which parade up and down Camps Bay Beach in summer. If people-watching isn't up there on your to-do list, Camps Bay will change that. If it is, you should definitely scramble to reserve Camps Bay accommodation, especially in the summer months from December to March, when bikinis abound! The suburb of Camps Bay is a spectacular one, nestled beneath the 12 Apostles of Table Mountain. 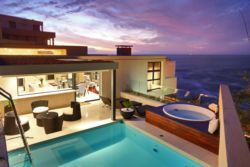 Owing to the great sea views, and palm tree-lined white, sandy beach, Camps Bay is a very desirable place to be, attracting an affluent crowd with preferences for upmarket hotels and apartments. Victoria Road separates the beach and ocean from the built up area of the suburb, and is lined with spilling-over restaurants, bars and coffee shops which pump on Friday nights and lazy Saturdays, especially when the warm African sun is out! To get a feel for Camps Bay, imagine sitting at an exclusive side-walk cocktail bar. The sounds of a live DJ set permeates your ears and in the back ground you can hear the odd whistle and cheer as a volley ball match winds down. Across the convertible-lined street, through the palm trees, a variety of characters is visible, tanning or walking their dogs. To add a splash of Africa to all this, throw in a constant stream of mini-bus taxis, sound-systems blaring as they wend their way through traffic. Sound like fun? You won't be disappointed. Camps Bay, aside from attracting a good-looking crowd and offering a spectacular setting, a platter of top notch cuisine options and pumping night spots, is also conveniently located. A 10 minute drive over Kloof Nek road takes you right into Cape Town's city bowl - the heart of contemporary Cape Town culture, brimming with art galleries, quirky bars and history. The starting points of many Table Mountain hikes are just 5 minutes away as is the cable car station. Camps Bay also marks the start of one of the most scenic drives in Cape Town. As you leave the suburb, heading towards Hout Bay (just 15 minutes away) you travel along the coast where the ocean views will melt even the coldest hearts. With all this talk of oceans, let us not forget Camps Bay's proximity to the area's best beaches. Apart from Camp's Bay beach itself; Clifton's beaches (the most protected beaches in Cape Town) are a hop skip and a jump away while Llandudno lies just outside of Hout Bay. Camps Bay is an absolute must for Cape Town visitors who enjoy the beach life combined with convenience. Nowhere else can beat it! A quick look at our website will give you the information you need to make your choice. 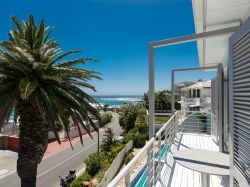 You will find reviews and you will also be able to compare prices and find wonderfully affordable accommodation in Camps Bay. 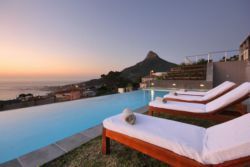 Are you planning the perfect getaway but have not yet found your ideal Camps Bay accommodation? By using our easy website, you can find great accommodation of all types, whether it is a cosy bed and breakfast or a comfortable lodge. 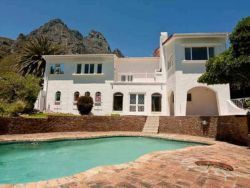 We have thousands of easy to find listings for self-catering facilities, holiday homes, guest houses and hotels as well as backpackers, chalets, caravan facilities, villas and apartments, giving you a wide variety of options when it comes to your accommodation in Camps Bay. To help you find the right place to stay, we have a number of tools that you can use, including a map. This will help you to pin point exactly where you will be staying and it will show you the accommodation facilities that are closest to where you will be. Regardless of the reason for your visit to Camps Bay, we can guarantee that you will find the type of accommodation you are looking for. But reviews for Camps Bay accommodation is not the only information you will find. Want to know if your Camps Bay accommodation is pet-friendly or allows smoking? All of that information is included on the listings page. You will also be able to find which activities are on offer and the sort of amenities included with each room. All of this information will help you to make an informed decision before you make any payments to, giving you more peace of mind about your choice. 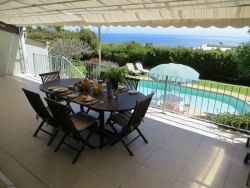 We include all of the contact details of the self-catering accommodation, holiday homes, guest houses and hotels as well as backpackers, chalets, caravan facilities, villas and apartments in Camps Bay which are featured on this website, so you also have the option of getting directly in touch with the place. 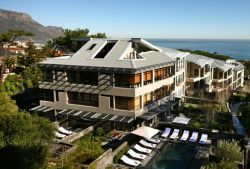 Regardless of where you are staying, we feature Camps Bay accommodation in that area of the province. 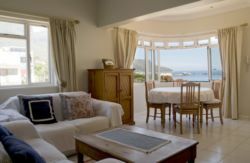 You have options of Camps Bay guest houses, lodges and bed and breakfasts, among others, ranging from your more affordable, lower prices to your more luxurious options. So, you are not visiting for a holiday but rather for business and all you need is a place to stay for a night or two? The bed and breakfast options, as well as the lodges, are generally preferred by business people and you will find all types, from your more luxurious lodges to your simple, self-catering bed and breakfast. Each will give you a safe roof over your head while you are in the province. 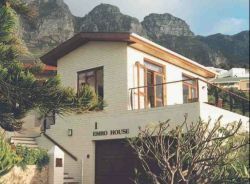 Camps Bay accommodation is not only affordable but well situated. If you are doing business in this area, this is a great accommodation choice. Spending more than a few days in the province? Perhaps you are indulging in a tour of the region and you are looking for a few places to stay? 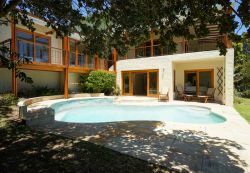 Browsing through our listed self-catering accommodation, holiday homes, guest houses and hotels as well as backpackers, chalets, caravan facilities, villas and apartments in Camps Bay will give you all of the information you need to make your selection. And once you have found the ideal place to stay, you can either request a quote or make your booking directly on this website. Sleeping-OUT.co.za is designed to make finding and booking accommodation in Camps Bay easier than your traditional methods of sourcing a place to stay! 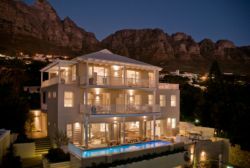 We include some great accommodation special deals in and around Camps Bay.